"Muhammad" is the most common name in the world. The Muslim year is based on Lunar calendar. Ali bin Abi Talib (R.A) walked all the way from Mekkah to Madinah, at the time of Hijrah, while hiding from the people of Quraish who were pursuing him. Now, that's long, long walk. 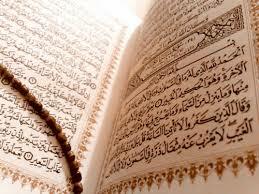 The first Hafiz (one who memorizes the Qur'an) of the Holy Qur'an after Muhammad (S.A.W) was Uthman Bin Affan (R.A). The 10 Sahabahs who were promised Paradise during their lifetime were Abu Bakr Siddiq, Umar Bin Khattab, Uthman Bin Affan, Ali Bin Abi Talib, Talha Bin Ubaidullah, Said Bin Zaid, Abu Ubaidah Bin Jarrah, Zubair bin Awwam, Sa'ad Bin Abi Waqqas and Abdur Rahman Bin Auf RadiAllahu 'Anhum Ajma'in (R.A). One European country has a population of over 90% Muslim: Albania. "Islam" literally means "peace (through the submission to God)". Islam is the 2nd largest religion with between 1.3 and 1.6 Billion followers. 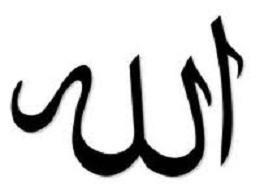 To become Muslim, a person of any race or culture must say a simple statement, the shahadah. Darood Shareef: One who recites Darood Shareef once will be fortunate to be rewarded with virtuous deeds for 1000 days. Reciting the Holy Quran: Holy Prophet (S.A.W) has said, "Whoever reads one letter of the book of Allah is credited with one blessing and one blessing is equal to ten rewards. Miswaak: It is Sunnah to use Miswaak every time you perform wuzu. Salaat performed after using Miswaak, is seventy times more virtuous than salaat performed without using Miswaak. Waking Up: The Holy Prophet (S.A.W) would wake up in the middle of the night and would recite the following Dua: Alhamdu-Lillahilladhee Ahyaanaa Ba'da-Maa-Amaa-Tanaa Wailaihin Nushoor. Sunnah of Cleanliness: Hazrat Aisha (R.A) narrates the Holy Prophet (S.A.W) saying: "The religion is based on cleanliness." (Ibn Hibban). Our Holy Prophet (S.A.W) has reported that there are five things, which have been passed down from earlier Prophets: Circumcision, To cleanse the body hairs below the navel, To keep moustache trimmed, Cutting the nails and To remove the hair under the arms. Sunnah of cutting nails: For Hands: Begin with right hand; from Index finger to Little finger. Then move to left hand, starting with Little finger to Thumb, and lastly the Thumb of Right hand. Finally wash hands after cutting nails. For Toes:Start with right foot Small toe and proceed to Big toe. Then start with Left foot Big toe and complete with Small toe. Do not exceed forty days without trimming the moustache and cutting the nails. Sunnah of Dress: For men: To cover middle part of the body from navel to knee. For women: To cover the entire body except face, hands and feet. These parts must never be exposed to any other person (except to their husband (in privacy), or in case of genuine need e.g. medical treatment). Sunnah of wearing Shoes:To wear shoes made of skin, Wear both shoes or take both off, Shake the shoes before wearing, Avoid wearing the shoes whilst standing, Wear the right foot first, then the left, Hold the shoes with Left-hand Index finger and Middle finger, If the shoes are turned over put them straight, Try to walk bear-foot at times, as Holy Prophet (S.A.W) advised us to do so, Women should not wear men's shoes, and men should not wear women's shoes. Sunnah of eating: Eating with the right hand, Eating with three fingers (according to our need, five fingers can also be used), Eating food from the side of the plate. Sunnah of Visiting the Sick: Dua for the patient: "Asalullahal A'dheema Rabbal A'r-shil A'dheemi Aa-Yashfiaka". Click here for more details on each of the above.